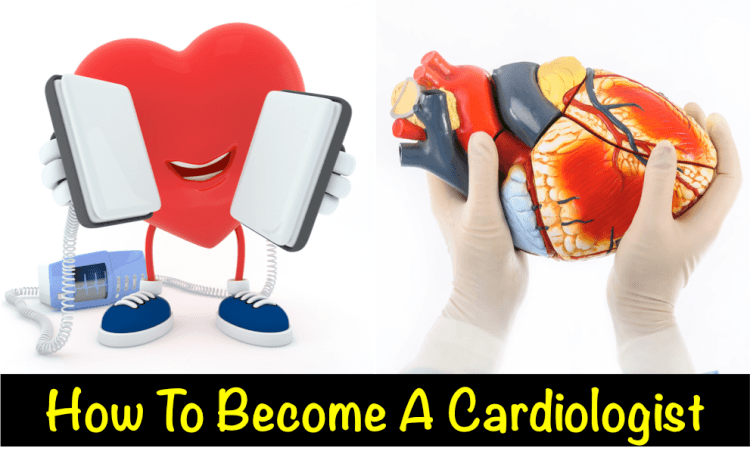 If you are reading this article on how to become a cardiologist, you are contemplating on embarking on a long, challenging, and most importantly, fulfilling journey. The path to becoming a cardiologist, believe it or not, begins during undergrad because a career in medicine draws people who are very ambitious, driven, and competitive. This competition grows fiercer as the years progress and therefore it is of utmost importance that you do as well as you can during each stage of your academic life, because it all counts. For more information on the path to becoming a doctor, check out our article on MD vs DO which explains the different medical degrees available in the US. This is the first step in this long process of becoming a cardiologist. An undergraduate degree usually takes three to four years to complete. During this time, it is very important that grades are kept up. There will be several courses that are difficult including organic chemistry, however this pales in comparison to what lies ahead. You will spend many weekends studying and preparing for exams. The better you do in these classes the better the foundation you build, thereby making MCAT preparation easier. As medical school entrance is become more and more competitive it is important that you keep a strong GPA, score highly on the MCAT, and volunteer in a medical related setting. The first two years of medical school are composed of basic sciences such as classes in pathology, biochemistry and pharmacology after which you will take your first of the medical licensing exams (USMLE Step 1). A rigorous eight-hour exam comprised of more than 300 multiple-choice questions. This exam will be a major determinant of your future career the score used as a benchmark for residency programs to offer or decline you interviews. During your third year, you will make your transition into the hospital and will apply what you have learned during your first two years. 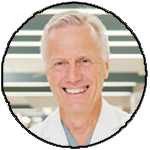 You will rotate through each of the core rotations including Internal Medicine, Obstetrics and Gynecology, General Surgery, Pediatrics, and Psychiatry. After this is the second licensing exam (USMLE Step 2) taken in your final year of medical school. There is a knowledge aspect to USMLE Step 2, known as Step 2 CK, and a clinical skills aspect to Step 2, known as Step 2 CS. These are two different exams taken on two different days. Each of these exams is eight to nine hours. Cardiology is a sub-specialty of Internal Medicine, so you need to do an internal medicine residency in order to become a cardiologist. You will apply to various Internal Medicine residency programs during your final year of medical school and will match at a residency where the next step of your training lies. During these four years, it would be wise to find time to do research as well, as this will help your chances at securing a strong Internal Medicine residency and therefore increase your chances of becoming a cardiologist. Cardiology is a medical specialty, as opposed to a surgical specialty, so you will be required to complete a three-year internal medicine residency on the road to becoming a cardiologist. During these three years, you will learn to become comfortable with evaluating and managing a wide array of medical conditions prior to specializing in the heart. It is important to match into an Internal Medicine program with the best standing and name as possible, as this will make it easier for you to match into a Cardiology fellowship. Another benefit of training at a well-known residency is that you will have better exposure to leaders in the field of Cardiology who may write your letters of recommendation. You will spend countless hours and weekends taking care of ill patients however you will need to show your genuine interest in becoming a cardiologist by getting involved in various research projects and if possible presenting at conferences or even publishing articles, as the field is very competitive. This will build your CV nicely to set you up for a Cardiology fellowship. You will apply during the beginning of your third year and find out where you have been accepted half was through the third year in residency. Next is general cardiology fellowship where you will continue your journey for another three years. The general cardiology fellowship is where you learn to manage a wide range of cardiac conditions from coronary artery disease to valvular heart disease to heart failure and others. You will delve into the depths of the field of cardiology and learn to perform procedures such as the heart catheterization and echocardiography. Different fellowships offer different things with some programs stronger in some aspects than others, and one should keep this in mind depending on what kind of career is desired. At this point you are a cardiologist and can have a career managing heart patients, looking after patients in clinic, and performing basic procedures. Some of you will want to specialize further though in to the advanced subspecialties of cardiology as outlined below. Unfortunately this requires even more time training! A one year fellowship for those wishing to manage complex heart failure including heart transplant, artificial heart devices, and other forms of heart disease. Heart failure cardiologists will often work very closely with surgeons and deal with very sick patients. This is a one to two year fellowship which includes the management of irregular heart rhythms. These are the Cardiologists who implant devices and pacemakers. This is a one to two year fellowship as well for those who love opening up blocked arteries. If you come to the hospital with a heart attack, these physicians will be your best friends as they have ninety minutes to open your artery up. You can see that becoming a Cardiologist takes a lot of time, energy, and effort. It requires, at minimum, 13 years of studying and training after high school, and 10 years after undergrad. 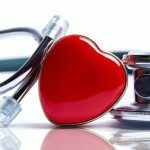 I hope this article helps shed some light into what it takes to becoming a Cardiologist and we wish you all success if you embark on your endeavor in joining the ranks. We hope you enjoyed this article on how to become a cardiologist! This seems like great information to help my brother decide what he wants to do now that he’s in medical school. He knows that he wants to go into medicine, but he isn’t sure what field of medicine he wants to practice. Right now he’s leaning toward going into cardiology, but he’s still very much on the fence about it. I hope that this information will help him make up his mind. 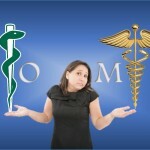 The section called “A Cardiologist’s Route Through Medical School” should answer many of his questions. He’s almost done with his first two years of school, so he’s pretty well versed in the basic sciences. Knowing what he’s going to do next year if he chooses to go into cardiology will help him make up his mind. Working in a hospital and applying his knowledge to the work that he’ll be doing there seems right up his alley, so I’m sure that he would enjoy his third year of college should he choose to stay in school for cardiology. Cardiology is one of the more difficult practices in medicine since it mainly deals with the heart. To become a doctor of that caliber takes many more years of studying after you are out of high school. I believe you mentioned somewhere along the line of 13 years, or more. That is a lot of time to be dedicating to school, but it will pay off once you complete all of the schooling. I am very much confused that should i go for cardio or gyne ? or should leave the medical stream because i am currently in class 11 and have plenty of time to decide for my future so should i go for it ? or drop it ! I am suggesting you that just go for it …!! Even my dream or goal is to become a Cardiologist …!! Hi, I am glad to see all the reply’s and mine dream was to be a cardiologist. When I was in fourth standard from there I said to my parents that I will also go in medical science.Now I am excited to grow up faster and get in the science side and after that my dreams come true.I wanrt to know what shoud I do subjects to go in the feild of medical science. Im a grade 11 student and im looking forward to become a cardiologist.i want to know what should i study very hard ib order to keep my dreams. does anyone know the education differences between non-invasive and invasive? Interventional cardiologists would need 1-2 years of extra fellowship, sometimes more if delving in to complex structural heart intervention. Im a degree nurse in Swaziland, is it possibl that I can be a cardiologist as it is my outmost wish. Hi, I’m Mphoyamodimo Baratedi a Third Year Student in Health Information Management, I was asking if can it be possible for me to start a journey of being a cardiologist after I finish my Honors Degree since in the program there is Human Biology 1(where we dealt with Human Anatomy and Physiology) and Human Biology2(where we dealt with medicine coding and Pharmacology),can I be able to pursue Cardiology? What are the best schools to start and finish cardiology fellowships? Can I prepare for cardio from class 9 as I want that I have no pressure on my head when the the time comes? If yes, that what can I study for preparations, only ncert books or else, and what should I take maths in class 11? right now i m in 11th standard and i want to be a cardiologist but it seems very difficult . which books or what do u prefer so that it would be easy for me to clear any competitive exams after 12th and can a average student crack NEET? Hi, I’m a medical student in Bangladesh. If I can keep my current pace, I will hopefully be able to start Cardiology residency training within 5 years. I mainly want to know two things about the fellowship subspecialties mentioned here. 1. Is it possible to do multiple fellowships like Interventional cardiology and electrophysiology ? 2. What is the level of difficulty of the procedures they perform compared to regular surgery ? I had a question on my mind do i get to work as a dr inbetween those 13-15 years and actually have a job. And if yes at what year exactly. Thank you. I am in grade 11 this year and have been promoted to grade 12 next year(2017) and i must admit that this article was very helpful and inspiring in a way. It enlightened me on things i was not fully aware off, it opened my eyes and made me realize that i need to pull up my socks and work extremely hard if i want to pursue my goal of becoming a cardiologist. This article has also made me realize the fact that this journey i will embark on will not be an easy one but with hard work and perseverance it will be a successful one. Thank you to, for inforing us i also have to wrk hard this is for life. I’m starting on my career as a Cardiologist. I was wondering does the college I go to affect my admittance into medical school? Hi, i am Bentil Michael; i am in SHS 2 in Ghana(west Africa) it is my passion to save life , can i continue my school in the USA to study cardiology after completing my senior high school in Ghana? How many years does it completely take for becoming an cardio surgeon after doing the o levels??? ?I am so confused with this..pls. can anyone give me the answer for this question..
whilst studying do I get to work part time in a hospital and earn something? I’m very worried about studying for 13 full years still depending on my parents for money and other personal necessities. Once you are in your general IM residency, you will receive pay. Pay varies by hospital, year, specialty, etc., so look into that. I’m only in 10 and I already know what I wanna be which is a cardiologist, and I know that it will take me some years but I’m up for that challenge. I really want to become successful in life and not be a disappointment. I really like how you talked about learning to perform heart catheterization and echocardiography during your cardiology fellowship. Knowing my cardiologist will have specialized training and a breadth of procedures under his or her belt is a relief. 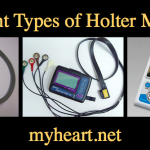 My family has a history of heart issues, so I thank you for telling us about some of these doctors looking into further specializations and advanced subspecialties. Hi! I’m Nunpuii and I am about to face an interview for standard 11 and I am seriously nervous. I really really want to be a cardiologist and after reading this article I feel very excited but the fact that I am not really a competitive person is a real drawback. Please give me some advice on how to fulfil my dreams as I have absolutely indecisive about which medical institution I should try after high school.Please. Well please tell me if I complete my MBBS at age 28 then how many years it will take for me to become a successful cardiologist?? this article was very informational on cardiology because when i grow up i want to be a cardiology because my grandpa died from a heart failure when i was 10 and i want to help people with their hearts. now that i now how many years and what to study i am really looking forward to go into cardiology. I wonder if u tell me about the subjects which we should focus more from grade10 for cardiologist. It would be easy to me.